Egyptian security forces have used rubber bullets, tear gas and water canon in running battles with tens of thousands of anti-government demonstrators demanding that Hosni Mubarak, the president, step down. The demonstrations, the fourth consecutive day of protests in Egypt, started after Muslim Friday prayers, with the most serious clashes taking place in the capital Cairo. 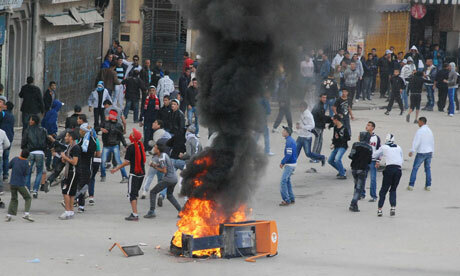 Egypt’s day of fury: Cairo in flames as cities become battlegrounds. 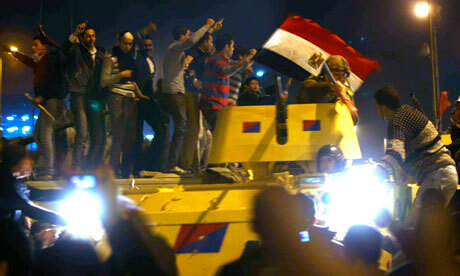 Hosni Mubarak regime left reeling as thousands defy curfew. Police fire baton round volleys into crowds unwilling to retreat. . .
Tunisia’s protests spark suicide in Algeria and fears through Arab world Man burns to death in Algeria in echo of man’s death that began Tunisian protests while Arab states are nervous . . Hedge fund manager John Paulson personally made more than $5 billion in profit in 2010, which may likely be the largest one-year earnings in investment history, the Wall Street Journal said. Paulson’s latest profit has trumped the nearly $4 billion he made with his “short” bets against subprime mortgages in 2007, the Journal said. 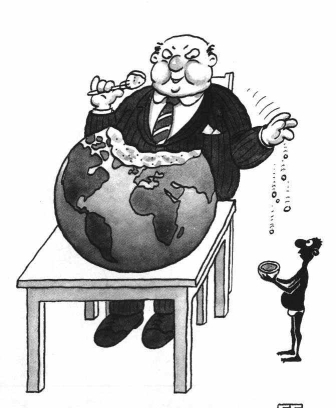 “World Economic Forum. . . an unrestrained affair: loud bands, drunken, middle-aged dancing and massive amounts of free booze. Most of those elements will probably still be there tonight. But in these more straitened times, Davos is getting a bit self-conscious about drunken revelry. 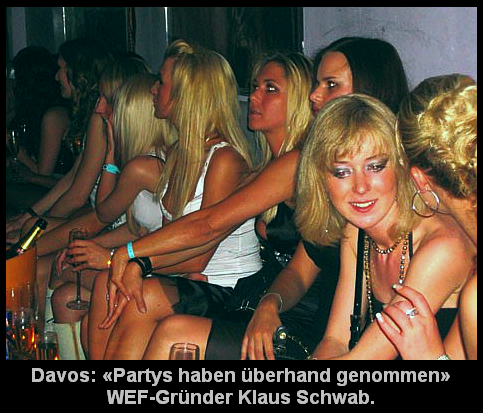 . .
“The annual Davos ball almost seems to invite satire. But then the same thing could be said about the entire World Economic Forum. There is something faintly comic about seeing so many important people (and vast egos) crammed into a small Swiss ski resort, slithering and sliding their way along the same Alpine streets in garish anoraks and newly purchased snow-boots. Former U.S. President Bill Clinton said tackling income inequalities was essential to future growth and needed to be part of the core of doing business in the 21st century. U.S. economist Nouriel Roubini predicted a backlash against budget cuts in Europe if there was no rapid return to economic growth. “People are willing to do austerity, willing to do sacrifices and reform as long as there’s light at the end of the tunnel,” he said. Income equality??? Now there's a laugh. When you get to a gazillion to one, there is no hope to reach any sort of equality mate. The only path after that is…well I'll let you think of it.